Refer to Protective Goggles and Glove Warning. Refer to Exhaust Service Warning. Remove the catalytic converter heat shield. Refer to Catalytic Converter Heat Shield Replacement. Remove the exhaust front pipe. Refer to Exhaust Front Pipe Replacement. 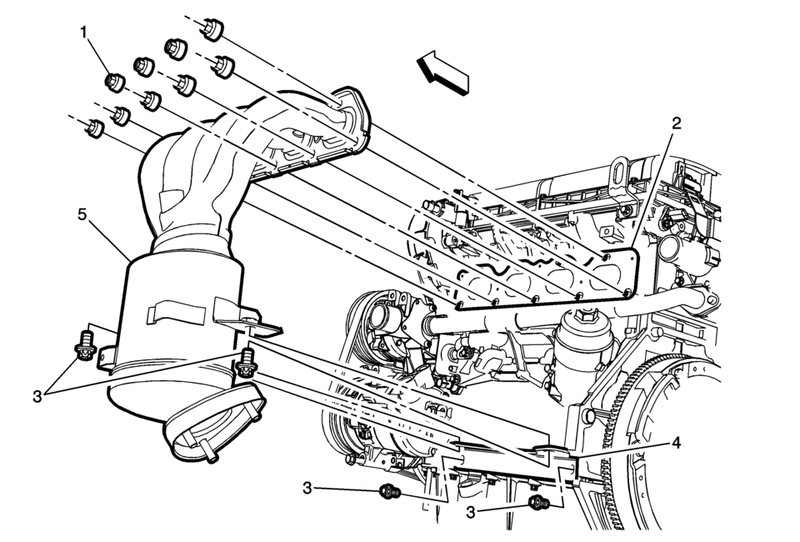 Disconnect the temperature sensor and transfer parts if replacing the exhaust manifold with catalytic converter. Replace the exhaust gasket with a NEW gasket. Replace the exhaust manifold nuts with NEW nuts.